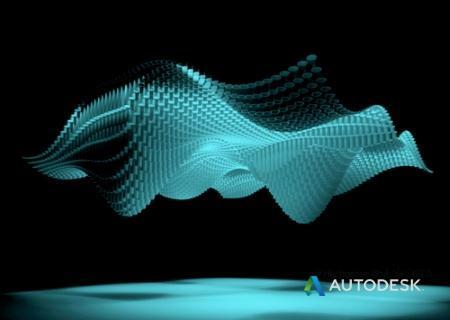 Autodesk Inc., a world leader in 3D design software for entertainment, natural resources, manufacturing, engineering, construction, and civil infrastructure, announced the release of Dynamo Studio 2016 R3 is a standalone programming environment that lets designers create visual logic to explore parametric conceptual designs and automate tasks. Autodesk Dynamo Studio lets designers create their own visual logic to explore parametric conceptual designs and automate tasks. Users can solve challenges faster by designing workflows that drive the geometry and behavior of design models. The standalone programming environment unites the freedom and flexibility of working untethered from Revit with the fluidity and efficiency of BIM-connected computational design..
- Generate sophisticated designs from simple data, logic, and analysis. - Extend your designs into interoperable workflows. - Solve complex geometric problems with visual logic. - Write code using a scripting interface. - WITH DESKTOP SUBSCRIPTION Make your content sharable with a package manager. - Visualize without documentation software. - Deploy Dynamo Studio to multiple machines at once. כל הזמנים הם לפי GMT +3. השעה כרגע היא 08:10.